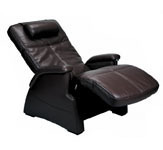 Cream - 100-NOVOXT-004 Human Touch Novo XT Zero Gravity Massage Chair Recliner with In-Home Delivery and Setup Included - The Human Touch Novo XT Zero Gravity massage chair reclinner helps athletes and professionals of any level prepare for, and recover from, strenuous workouts and work days. By increasing oxygen-rich blood to tired, sore muscles, Novo XT helps to restore your natural well being. You can also bet that the sleek, innovative design will serve as a conversation piece that captivates attention like that of your favorite sports car. Once you’ve rejuvenated both your body and mind, you’ll experience a heightened sense of confidence, motivation, and clarity—all the tools you need be your best and keep your edge over the rest of the pack. Space Saver Design Only needs 2" from the Wall. 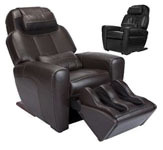 Foot and Calf Massager With under foot rollers for optimized reflexology and adjustable intensity for calves and feet, the extendable leg rest automatically adjusts for your height. The Novo XT Zero Gravity is made of a leather-like polyurethane material that does not include any animal hide or leather. Novo XT2 has the Altec Lansing Premium Sound System and 35 Programs. Novo Basic is not a Space Saver and has 30 Programs. 34 Auto-Wellness Programs - Indulge in 34 programs, including immersion and an effective collection of therapeutic relaxation and recovery programs. 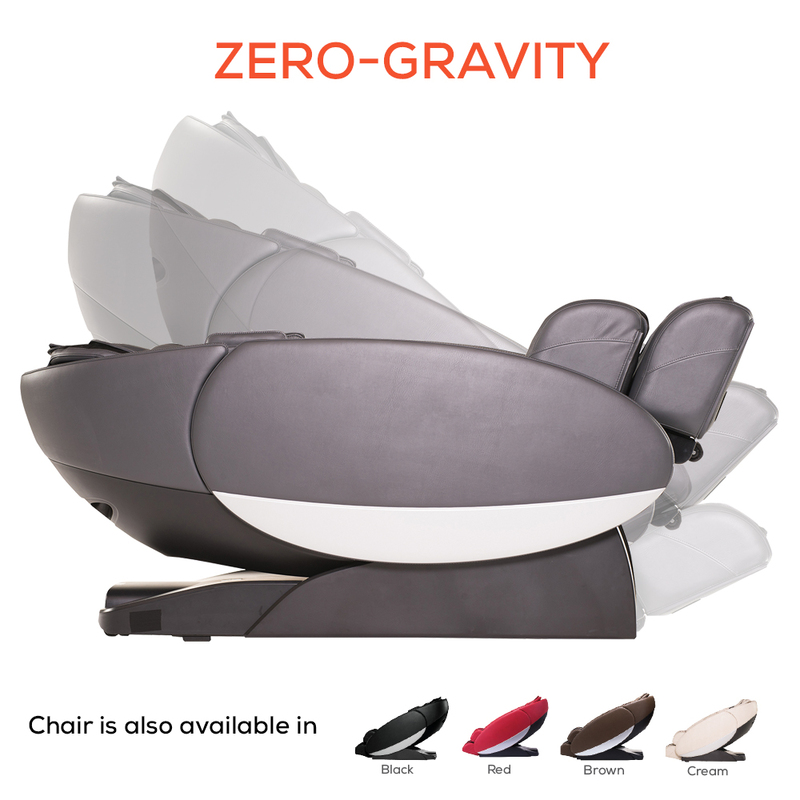 Zero-Gravity Massage - Enable Zero-Gravity with just the touch of a button, and you'll automatically be moved to an optimized neutral posture position for a more soothing and refreshing massage experience. Full Body Stretch - Our expansive "bend and stretch" functionality provides unprecedented leg and spine relief, allowing you to recover with greater efficiency. 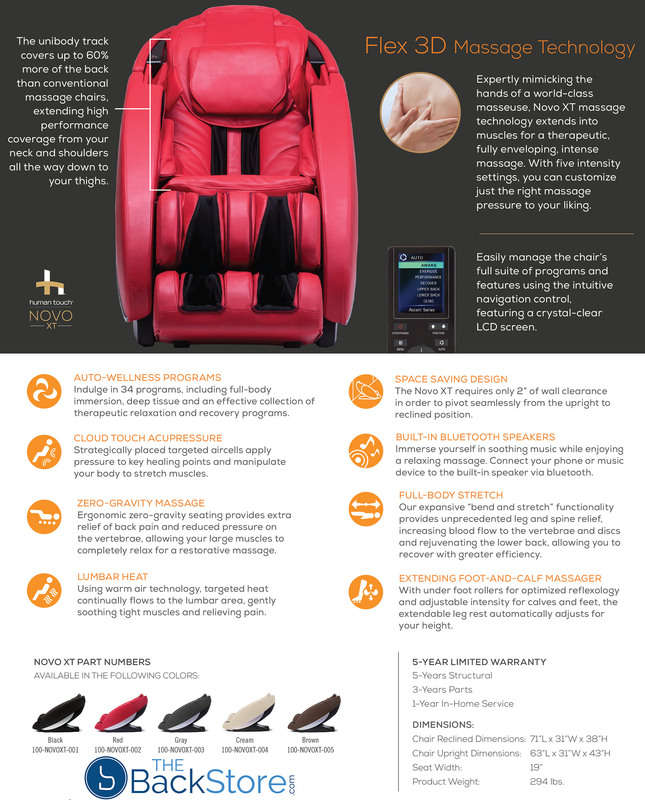 Lumbar Heat - Using Human Touch Warm Air Technology®, heat flows continually to target the lumbar area, gently soothing tight muscles and relieving pain. LCD Remote Control - Easily manage the Novo XT's full suite of programs and features using the intuitive navigation control, which features a crystal-clear LCD screen. Unibody Track - The striking design of the Novo is more than just style. The unibody track covers up to 60% more of the back than conventional chairs, extending high performance coverage from your neck and shoulders all the way down to your thighs. Space-Saving Design - The Novo XT requires only 2” of wall clearance in order to pivot seamlessly from the upright to reclined position. 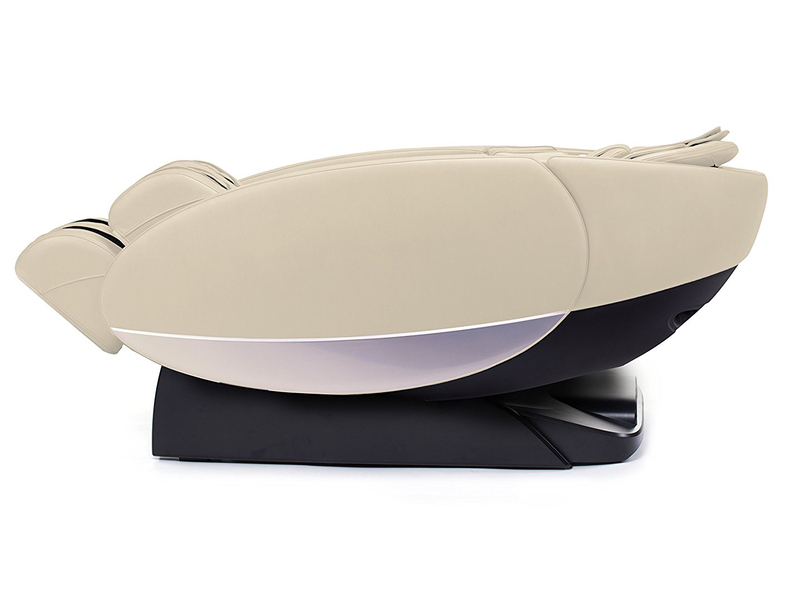 Built-In Bluetooth Speakers - Immerse yourself in soothing music while enjoying a relaxing massage. Connect your phone or music device to the built-in speaker via bluetooth. 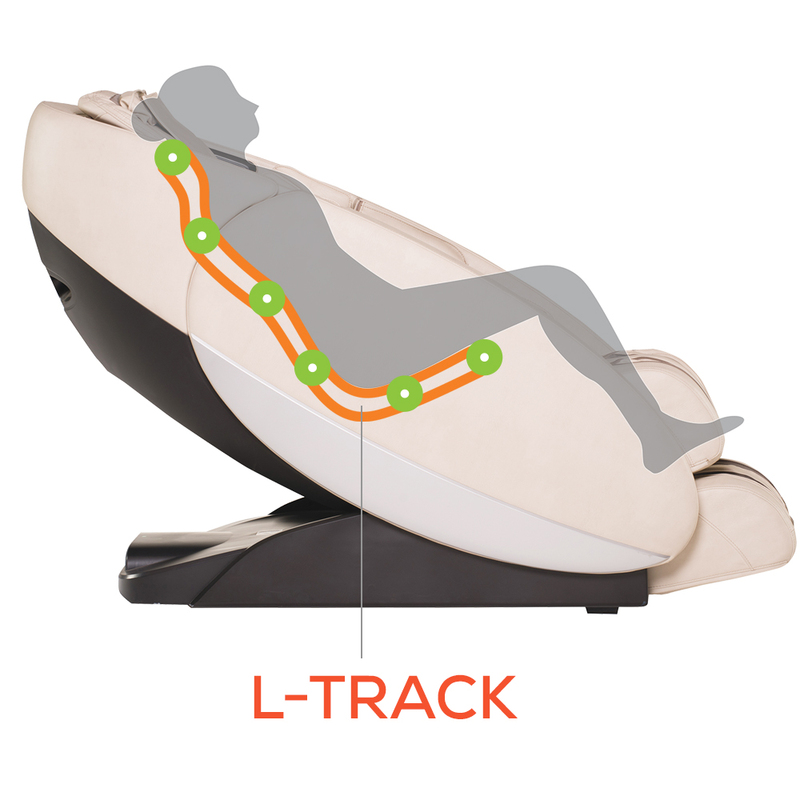 Range and Intensity Adjustable - L-Track Massage System that extends high performance coverage from the neck and shoulders all the way down to the thighs and glutes. Also includes multiple intensity and speed options. Extending Foot-and-Calf Massage - With under foot rollers for optimized reflexology and adjustable intensity for calves and feet, the extendable leg rest automatically adjusts for your height. Awards - Winner of the ADEX Platinum Award for its sleek unibody design. The ADEX Awards are the largest awards program in the design industry. In-Home WHITE GLOVE Delivery, Setup and Box Removal is Imcluded for New Chairs in the Continental USA. 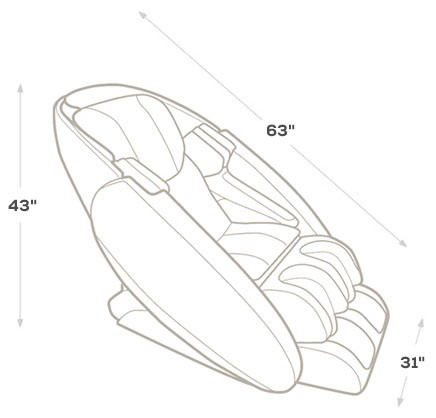 Product Measurement in inches: Approximately 63"L x 31"W x 43"H"
Reclined Clearance Required (distance to wall) is 2"
Recommended Max Weight Capacity: 300 lbs. 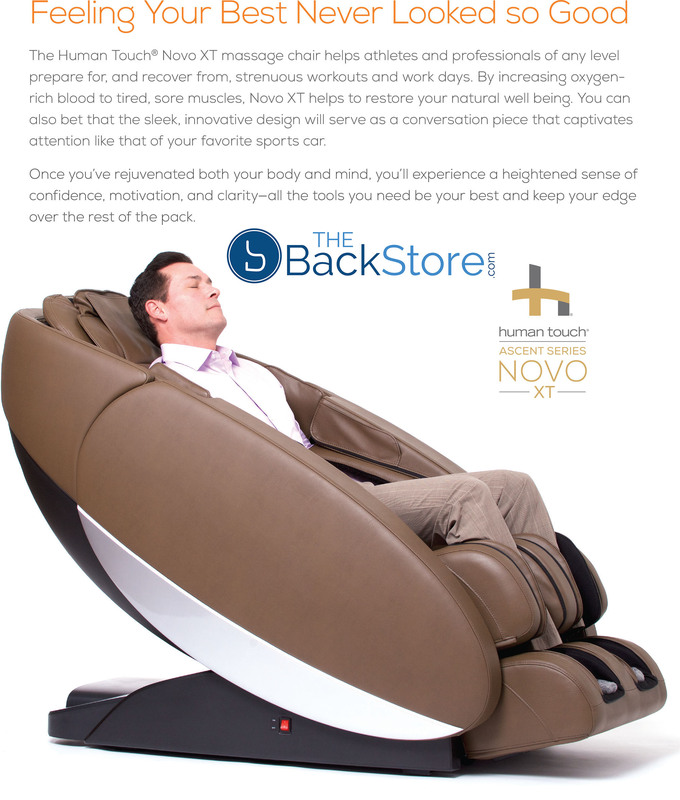 *WARRANTY INFORMATION: New Novo XT Zero Gravity massage chairs have a 5/3/1 Year Factory Limited Warranty. 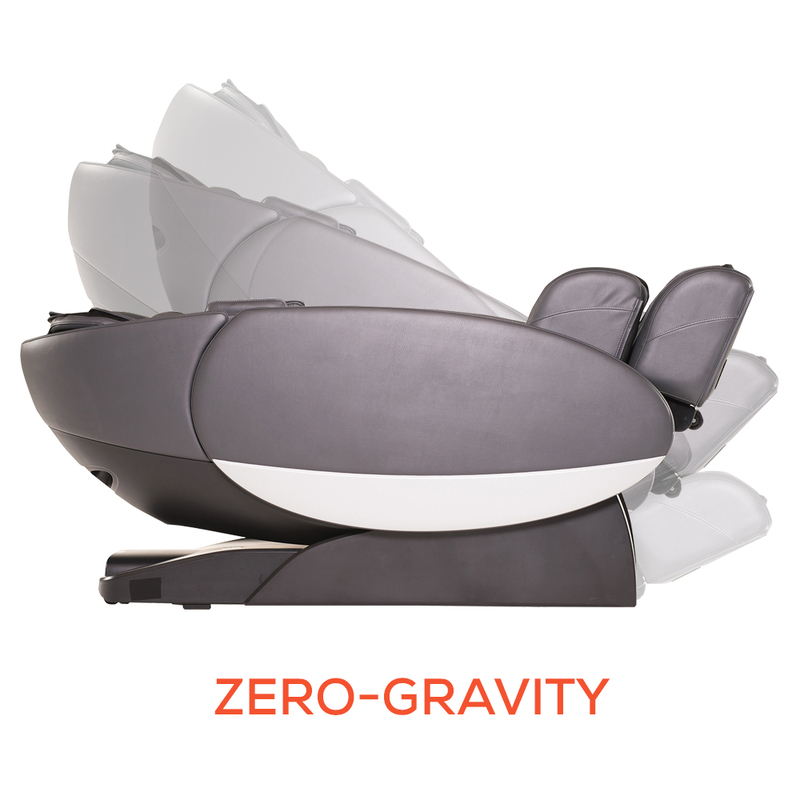 The New Novo XT Zero Gravity massage chairs come with a manufacturer's three-year limited warranty against Structural defects (Frame only - cosmetics are not covered). Parts are covered for three years from the original date of purchase. In Home Factory Service (All 50 US states and most major cities in Canada) is covered for one year from the date of purchase and can be extended with an extended warranty. 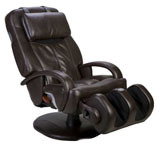 Open Box Used/Showroom Model Novo XT Massage Chairs have a One Year factory limited warranty. Chairs are packed for shipping and require minor assembly. 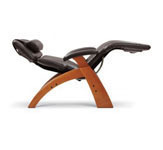 Warranty is not valid for chairs shipped out of the United States and Canada. In-Home Service is only available in the US 50 states and most major Canadian Cities. Extended warranties are available on both New and Refurbished Massage Chairs.